Enjoy your weekend getaway by planning a customized tour and tasting at one of the unique wineries in Niagara-on-the-Lake. NIAGARA-ON-THE-LAKE, Ont. (April 26, 2015) – There is no better way to experience the joys of Niagara this summer than on a custom wine tour in Niagara-on-the-Lake. With spring finally arriving, it’s the perfect time to plan your Niagara getaway with friends and family. There are plenty of unique wineries to explore throughout the region, and putting together a wine tasting itinerary is an easy and inexpensive way to try some old favourites and discover news wines best suited for your palette. When you are heading out into Niagara’s wine country, Marcel offers the following tips to help you make most of your excursion. Plot your approach. There are free maps of the Niagara-on-the-Lake wine region in almost every local winery and hotel as well as online at wineriesofniagaraonthelake.com. Planning your approach is key to making sure you have enough time to explore the many boutique wineries serving unique wines not commonly available in larger retailers. Tour by bike. Biking is a great way to travel between wineries and enjoy the scenic countryside. Whether you plan on bringing your own bike or renting from a local bike shop, it’s ideal for getting around the Four Mile Creek appellation where there are bike paths and wide shoulders designed for rider safety. Set aside a weekday. For a quieter experience, visit during the week when the wineries and restaurants aren’t as crowded. If you’re looking for a weekend getaway, be sure to book your meals and private winery tours ahead of time. Tour the actual winery. Plan to visit more than just the tasting room. Many wineries offer private tours of the facilities or grounds that you can book according to your schedule. At Pondview, private tours starting at $8 get you into the vineyard and barrel room where you can sample wines paired with artisan cheeses. Get your wine home. Don’t let your wine purchases weigh you down. 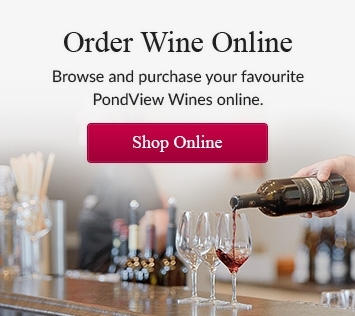 Ask the winery if you can pick up your bottles at the end of the day, or take note of the wine you want to purchase and return to get it later. Some smaller wineries may even deliver within Niagara-on-the-Lake, so be sure to ask about your options. And remember, don’t drink and drive!